No need to throw out last year’s poinsettia, learn how to make it re-bloom with our tips and tricks. If you have saved last year’s poinsettia and want to bring it to flower again this year, there is a certain procedure that must be followed. Poinsettias are known as “short-day” plants. Growers found out long ago that poinsettias can be brought into bloom if they are given short days and short nights. 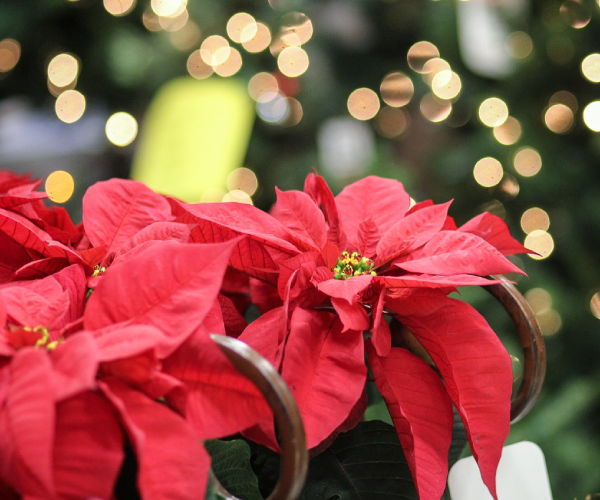 We are the only local growers of poinsettias in the Wichita area so our tips and tricks are sure to help you re-bloom your poinsettia – if not, check out our shop every fall to pick up a brand new one! Originally it was thought that short day plants needed a short duration of daylight in order to flower. However, we now know that flower formation is actually triggered by long periods of unintterupted darkness. For poinsettias, at least 12 hours of each 24 must be interupted dark. Night temperature also has an affect and should be below 70 degrees fahrenheit, with 60 to 65 degrees fahrenheit preferred. 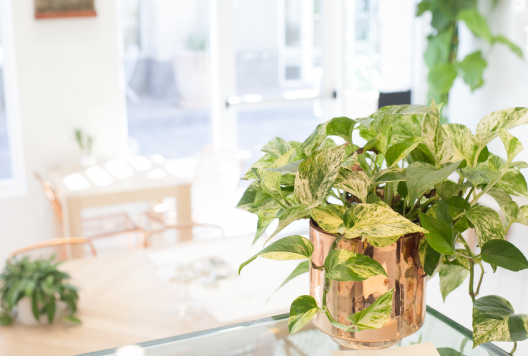 During the day, place the plant in the sunniest location in your house. This high level of light is needed for the plants to have energy required for good bract coloration. Day temperature should range between 60 and 65 degrees fahrenheit. Providing uninterrupted darkness can be a problem for gardeners, unless there is a room in which lights are never turned on. If you don’t have such a room, place your poinsettias in a dark closet, or cover it with a cardboard box each night for the required 12 hours. If using a cardboard box, tape all the seams with duct tape to cut off any light. Poinsettias take anywhere between 8-11 weeks to flower once the dark treatment has been started. Normally, people start the dark treatment early in October. The first 6 weeks are critical. For every night that you miss the dark period during the first 6 weeks, 2 days must be added to the bloom time. After the 6-week dark treatment, the buds have set and the dark treatment is no longer needed.